MOSCOW, April 14 (Xinhua) -- Russian President Vladimir Putin said Saturday that the U.S.-led strike on Syria was "an act of aggression" against a sovereign state and Russia strongly condemns it. Russia will convene an emergency meeting of the United Nations (UN) Security Council over the missile attack, which violated the UN Charter and norms and principles of international law, he said. Warning that the strike will exacerbate the humanitarian catastrophe in Syria and provoke a new wave of refugees from the country and the region as a whole, he said the current escalation will have a devastating impact on the whole system of international relations. Putin said Russian military experts did not find any traces of chlorine gas or other poisonous substances in the area where Syrian Government forces are alleged to have launched a chemical weapon attack, namely, in the rebel-held district of Douma near capital Damascus. The Syrian Government has categorically denied the accusation. Though the Organization for the Prohibition of Chemical Weapons is sending its experts to Syria to investigate, a group of Western countries "cynically" disregarded it and launched a military operation instead of waiting for the outcome of the investigation, Putin said. The United States, together with Britain and France, on Saturday launched a missile strike on Syria, saying it was in response to the alleged chemical weapon attack. 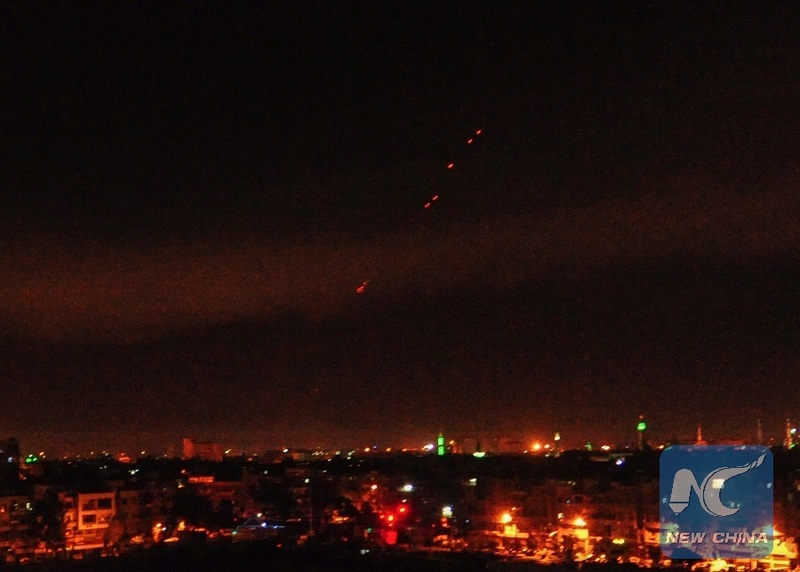 The Syrian military said the coalition fired some 110 missiles targeting Syrian military sites in Damascus and elsewhere, but most of the missiles were destroyed by the Syrian air defense system.